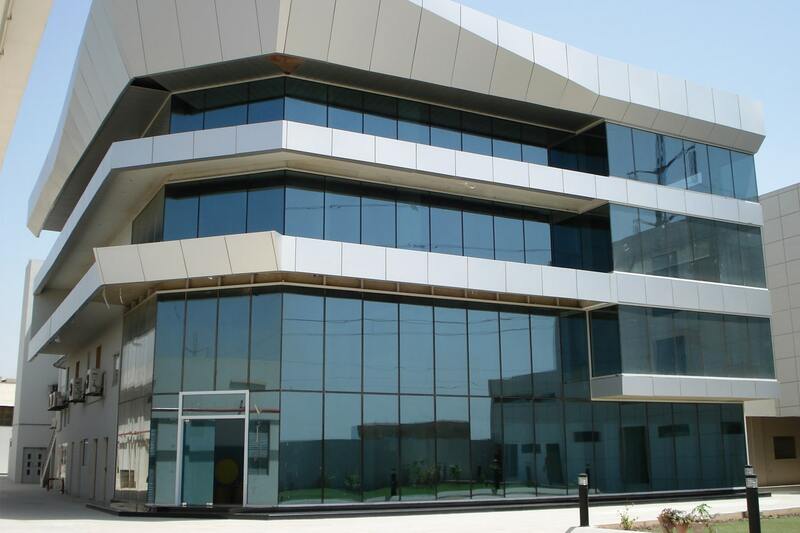 Pakistan Safety Glass presents the industry’s most comprehensive range of architectural glass products designed to cater to the most demanding applications. From structurally-glazed facade to curtain walls and skylights to railings, our facade solutions can efficiently service all your requirements. Our intricate focus on form and functionality ensures that glass walls look better, perform more effectively and generate better value for our customers. Few things lend a modern, lighted look to a building better than a curtain wall system. These non-structural features keep the weather out but keep the admiring occupants in. 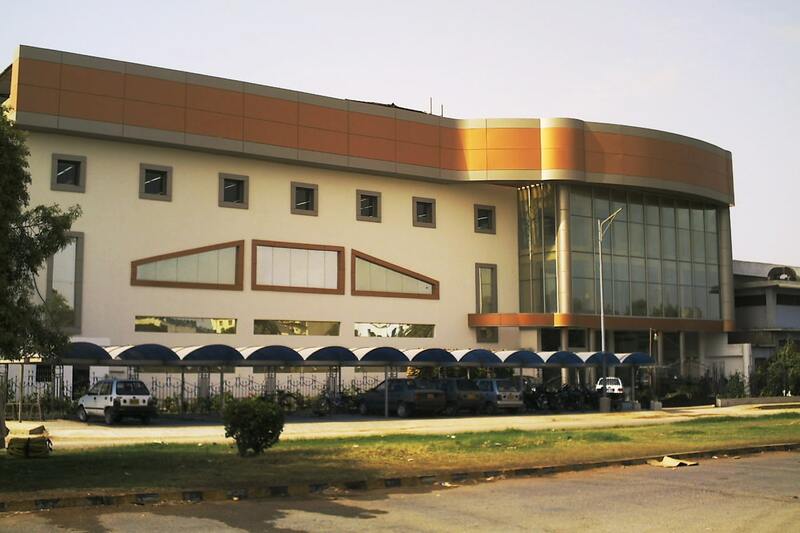 We’ve built facades into numerous large-scale projects and can do the same for yours. Curtain walls clad a building envelope in glass and aluminum to protect the interior and provide a safe and comfortable environment for the building occupants. Curtain walls are designed to only carry their own weight. The wall transfers wind loads to the main building structure, or main wind force resisting system at connection points in the floors or columns. They are designed to resist air and water. 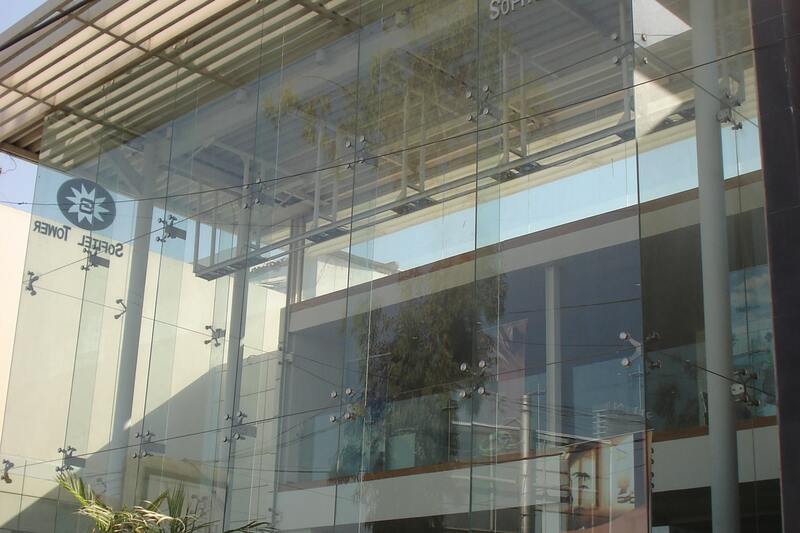 Point-fixed glass curtain walls is fixed onto the substructure only in a few points by mechanical connection. This connects glass to the support system by metal clamps and fixing bolts. The support system of fixing bolts can be a steel or aluminium structure and it provides a frameless glazing façade through a web of glass sheets sealed together from the building structure. PSG can proudly say that we were the first to introduce this system in Pakistan. Carrying on this former accomplishment, and relying on our sense of creativity and quality service, we can proudly say that we are the forerunner in the field of point-fixed glass systems. 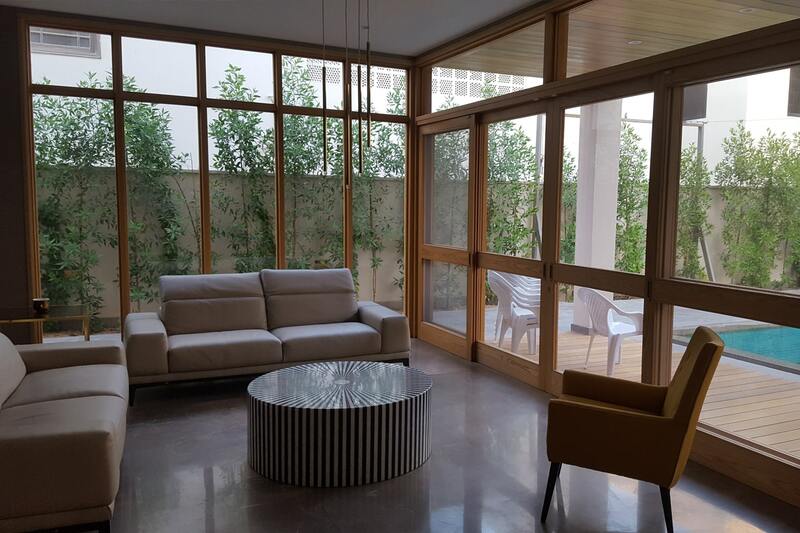 A system which consist of glass with aluminium windows and doors take any space to new heights. The contemporary style and quality of our materials which enhance your surroundings. The functionality, structural integrity and safety design features are artistically designed to give an open and aesthetic feel to any living space. Aluminium cladding is durable, hygienic, lightweight, low maintenance and recyclable. ACM is a popular choice in the industry, due to its flexibility and ease of fabrication. It is impervious to termites and other insects, and because it allows the wall to ‘breathe’, there is a very low risk of leaking. Aluminium composite cladding can be fitted with insulation on the back or underneath in order to improve its energy efficiency. ACM cladding can be combined with other materials, such as stone, timber or cement and is a great option for insightful and imaginative architects and engineers. The colours and finishes include a metallic finish, a zinc finish, a core ten finish and an aluminium oxide version which looks like raw aluminium but with a weather proof coating.